A mini project to do when you feel like making something fun. Tassels can be an interesting addition to a weaving, or used as adornments to anything that needs a little pop of yarn love. Cut two pieces of yarn, about 6 inches long. Then take your yarn ball and begin wrapping the yarn around your fingers. 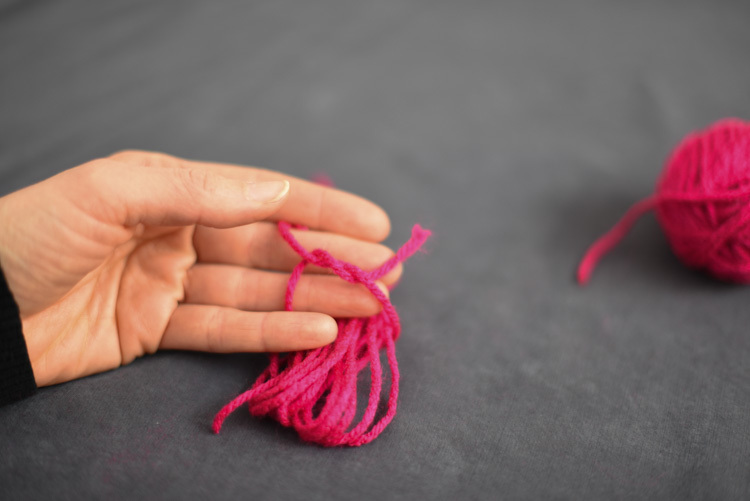 The number of times you wrap the yarn, as well as the yarn's thickness, will determine the size of the tassel. I have wrapped it 10 times and up to 40 times for a really big tassel. Once you have the size you want. 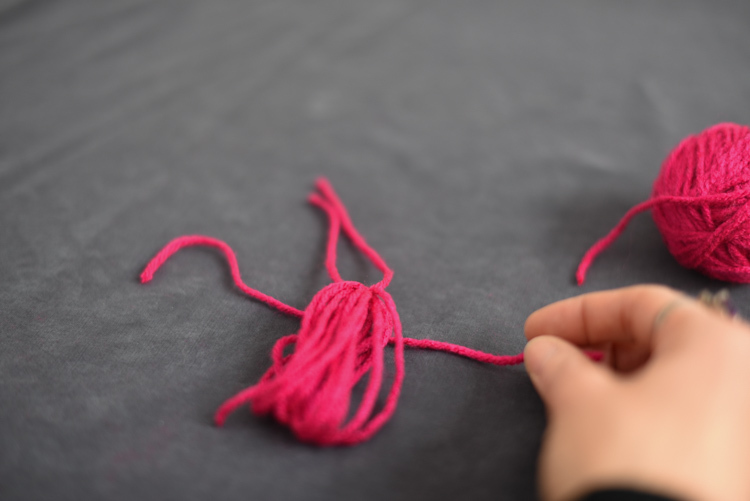 Pull one of the precut yarn pieces through the center of the wrap and tie it in a knot at the top of the loops. Then lay the bundle down on the second yarn strand. You want the strand to be near the top 1/3 or 1/4 of the bundle so you get that nice tassel shape. Next tie a knot in the yarn, turn over your bundle and tie another knot. Cut the loops and trim the strands so they are even, or uneven if that's the look you want. It's your tassel and you can make it just how you want it. Enjoy! Have any questions? Leave a comment or share your tassel creations on IG and tag me @smichelet so I can admire your handiwork!